On 2nd March all eyes will focus on the Oscar ceremony, the Oscar race itself is of course based upon the subjective opinion of the Oscar voters. While there will be many debates on the virtues of the nominees - from best picture to best actress - for me there is one nominee who deserves to be credited for his work more than any other person on the list, cinematographer Roger Deakins. It is a travesty that this man has not won an Oscar despite the fact he has been nominated numerous times. 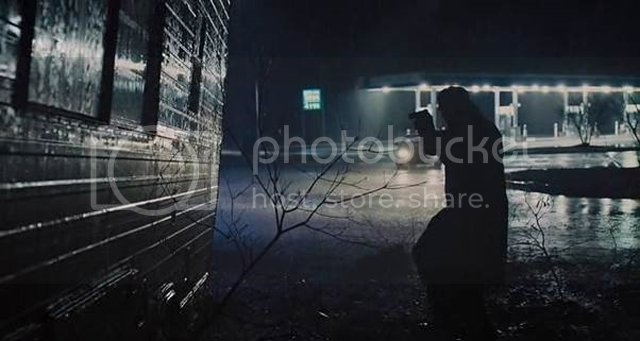 From his stellar work on the The Shawshank Redemption (1994) to his nomination for the fantastic melodrama Prisoners (2013), Deakins is the ultimate partner for a director, because he understands that establishing the right shot for a scene is based upon storytelling and his dexterity with the camera is peerless. As far as I can recall Deakin's has been nominated for an Oscar eleven times and yet he has not won on any of these opportunities. It is easy to forget that before The Shawshank Redemption (1994) became the cultural phenomenon that it ultimately became on home video, that the movie was commercially unsuccessful in theatres and yet was critically lauded. While the movie of is a tour de force of storytelling, without Deakin's skill in the opening scene and throughout, the movie would the movie be so ingrained on the public consciousness? I would argue no. From the ambiguity of the opening scene, to the iconoclastic scene in which Andy Dufresne looks toward the heavens (and the majesty of Rita Hayworth and the secrets she hides on Dufresne's wall), Deakins works beautifully to both exemplify and nullify the story with his set ups and lighting. While the Richardsonian Romanesque gothic environment of the prison itself is beautifully shot. In The Assassination of Jesse James by the Coward Robert Ford (2007) Deakins gives the movie a rich and stoic colour palette. The movie itself is about the deconstruction of myth and the legend of Jesse James while seemingly addressing its place in American history. Because the movie never makes an explicit reference to this idea, it is Deakins' lighting choices that give the movie a sense of grandiose sense of poetic simplicity, while also presenting the narrative as something that is on a grand scale in terms of its historiography and the movie's presentation of an American icon. The train robbery scene to the presence of nature, and the western USA, to me redefined what the modern Western was while also presenting what was to me one of the best movies of 2007 if not the definitive article. While Deakin's is a regular collaborator with the Coen Brother's (he has worked with them over seven times, he last did in 2010 on True Grit) it is his work on the last James Bond movie Skyfall (2012) that to me was truly breathtaking. I have never seen a Bond movie look that good, the scene in the Shanghai hotel is stunningly shot, as is the scene when Judi Denchs' d'M' arrives at her London home to find Bond waiting for her. In fact it is hard to isolate one scene in that movie because Deakin's work is of such a sublime nature. Skyfall is seen as perhaps the zenith of the Bond franchise. It is also ironic that in 2012 the cinematographer Wally Pfister concluded his relationship with Christopher Nolan with the Dark Knight trilogy, a trilogy that also was a cultural phenomenon. Would either of these directors in Sam Mendes and Christopher Nolan be so highly regarded without their respective directors of photography? Pfister won an Oscar for his work on Inception (2010) and it is time Deakin's is recognised too. Finally, it is for Prisoner's (2013) that Deakins is nominated for this time.Prisoners was one of my favourite movies of last year. It was a wonderful thriller grounded with the same cynicism and world weariness of Seven (1996). But it was Deakin's camera that gave the movie a sense of foreboding torment that elevated it beyond its narrative structure (which isn't as flawed as some critics argue). The scene when Jake Gyllenhaal's detective approaches a would-be kidnapper's trail is truly a sight to behold. When he speeds down down a busy road at night I am not sure I have ever seen an image that awe inspiringly beautiful committed to film. While the director is viewed as the auteur, it is their director of photography who brings their organic vision to life, and Deakins is one of the best at that. It's time he won.